IMG_9197, originally uploaded by Pink Lady on the Loose!. I love the way this sun has been painted. It's a detail from the shutters a few posts ago in Bratislava, Slovakia. 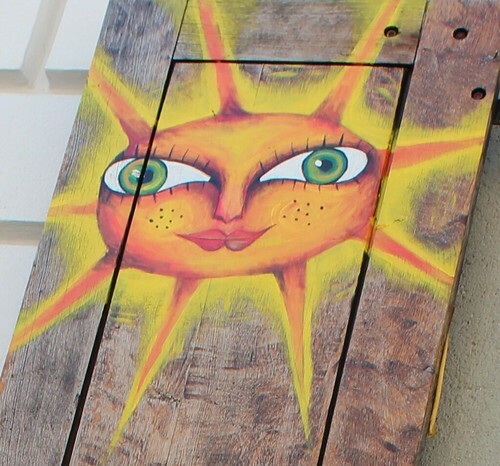 This sun is so bright and cheerful, I wish I could copy it and have it on my wall.